British Food Fortnight takes place from September 19th – October 4th and will see restaurants across the UK celebrate the delicious variance of foods sourced from British produce. A long time advocate for quality sourcing from our shores, Battersea’s Cornish Tiger will be bringing their singular, evocative take on British cuisine to the festivities with a menu designed specifically for the occasion. 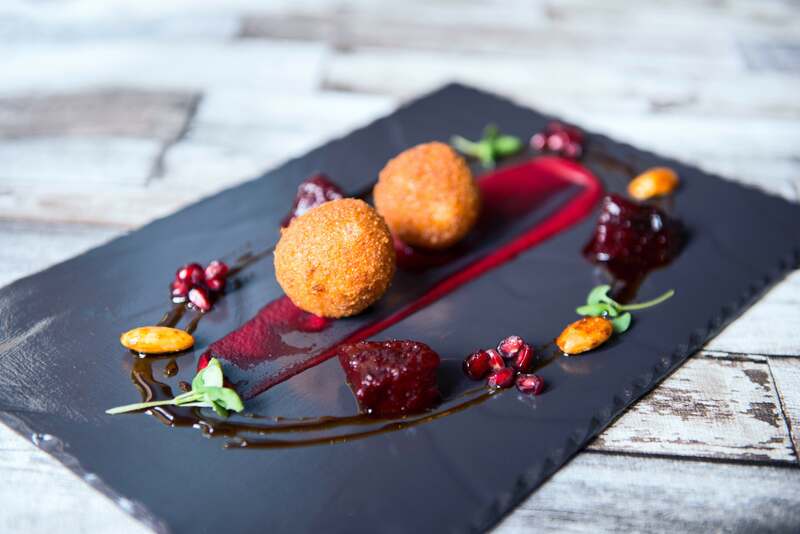 Showcasing the very best of Cornish cuisine, paired with Indian and African influences, Cornish Tiger offers nothing less than a flavorsome, delicious experience. Comprising of three courses, the menu includes a starter option of seasonal Chicken liver parfait, sourced from the Kernow region, with poached prunes and toasted homemade bread, sumptuous Plaice off the bone, mustard potatoes and sautéed green beans, sourced from the coast of St Ives, and succulent Pulled pork shoulder, sweet potato with homemade kimchi. Desserts include the Cornish Tiger signature Chocolate sponge poached strawberries with muscovado sauce. Cornish Tiger will be also preparing for the colder months as the Autumn sets in, donning their front and back al fresco dining spaces with warming blankets and welcoming lanterns; the perfect spot for enjoying the new hot cocktails that will join the menu from October 2015. I love Cornish Tiger. The confit chicken – heaven!